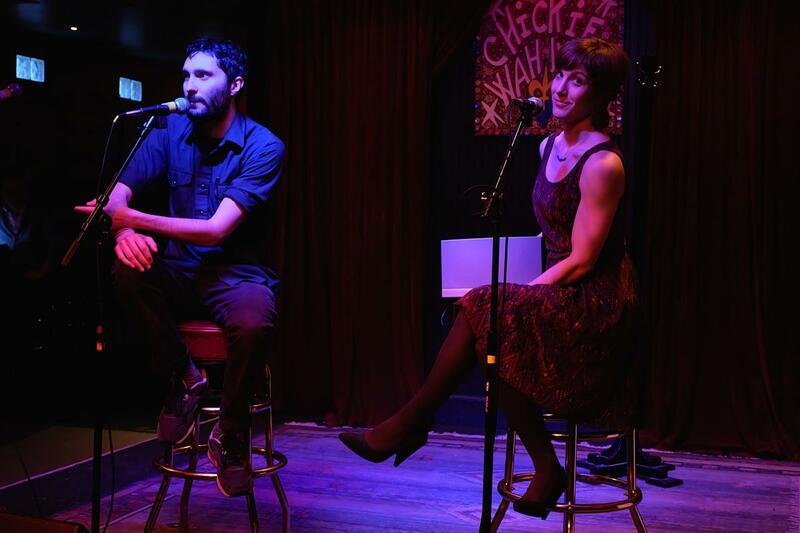 Guest David Weinberg and host Eve Troeh on the Chickie Wah Wah stage at last month's Speakeasy. 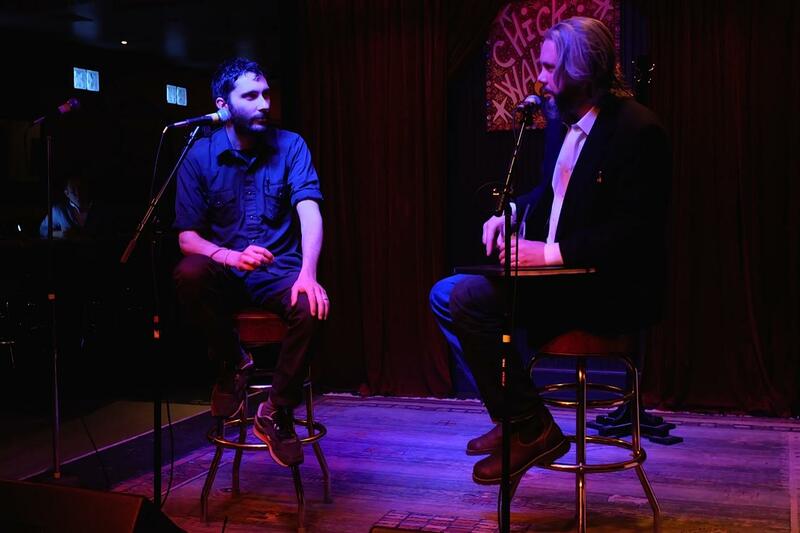 In March, Marketplace’s David Weinberg was the guest at our monthly SpeakEasy event.  He and host Eve Troeh talked all things radio, from his time making stories for WWOZ, to pitching to national shows and podcasts, to moving to L.A. and working for a daily program. Hear an edited version of the evening, or dive into specific clips, all below. 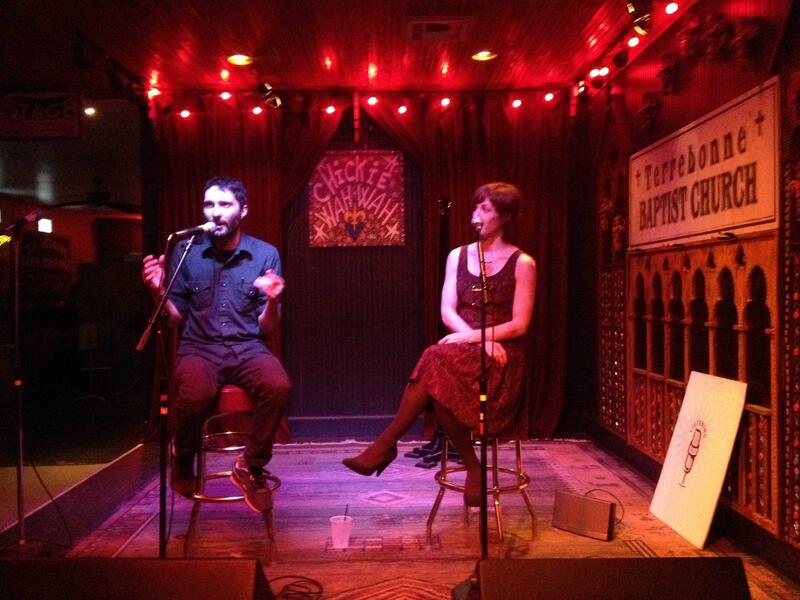 David Weinberg and Eve Troeh hold court at the March 2014 edition of WWNO's SpeakEasy at Chickie Wah Wah. David Weinberg talks about his start in the radio industry. David talks about what makes a good story, Eve smirks. Weinberg talks about what he thinks makes a good story, and how he goes and gets it. Weinberg shares tips on getting on-air, and reminds us there's an entire digital market out there that pays. Weinberg shares all of Kai Rysdall's secrets... just kidding. Weinberg plays an excerpt of a new story he’s working on for Marketplace. It features JT Nesbitt, the first person Weinberg ever did a story on, over seven years ago. After the clip, Nesbitt joins Weinberg on stage. 1.Why is Marketplace in L.A. and not New York? 2.The financial world is a perceived as a cutthroat world; how does the financial world perceive Marketplace compared to MSNBC, etc? 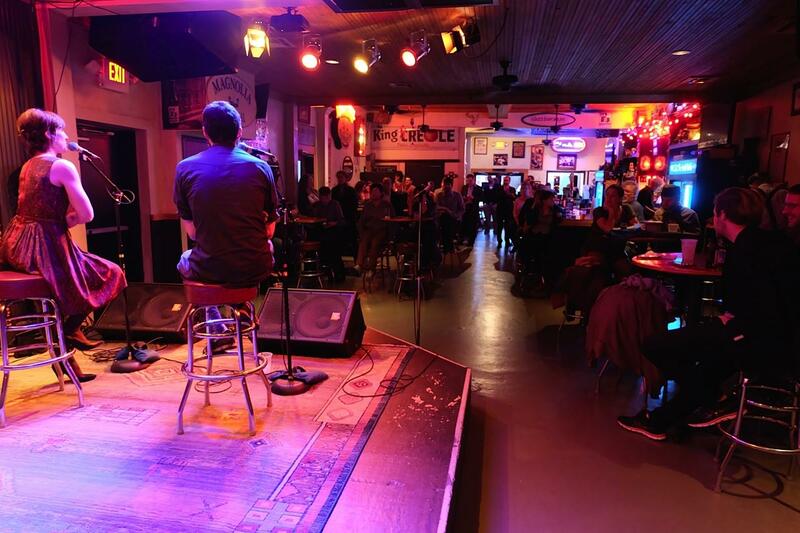 The third SpeakEasy on May 23 broke new ground and covered familiar territory with its panel of New Orleanians (recent and native) who offered some real talk about the changing face of our beloved Crescent City. SpeakEasy: Don't Quit Your Day Job! Join us for SpeakEasy with Susan Larson. She'll lead a discussion with writers Tom Sancton, Mona Lisa Saloy, Greg Herren and Cornell Landry.